Indian Boundary causes more mixed emotions for me than any other course I play regularly. Sometimes it makes me angry and sometimes it makes me happy. Often I think it’s the future of golf in our country, then I’ll run into some dude fishing the pond on the par three eighth hole and think otherwise. 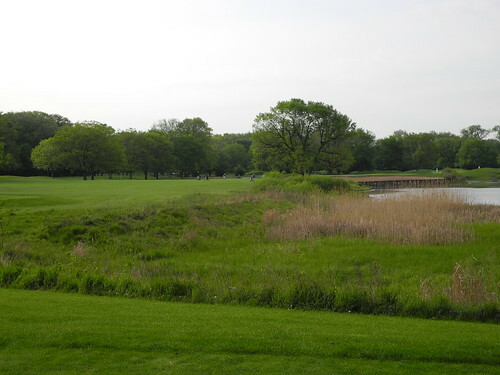 I rank Indian Boundary third in the collection of Cook County Forest Preserve courses behind George Dunne and Highland Woods. I paid $49.99 on a Sunday morning in May with cart for a decent sub-$50 experience. 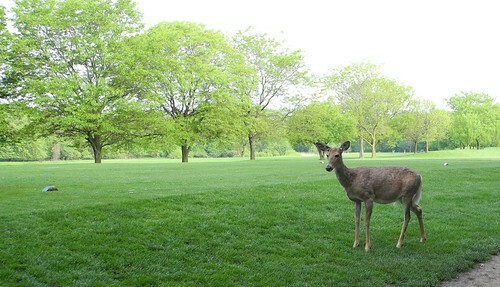 It’s a solid layout, highly convenient to downtown, and you’re almost guaranteed to see a deer. 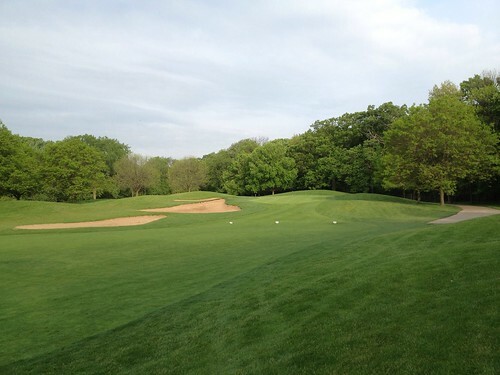 However, like many of the Forest Preserve courses, you have some frequent conditioning issues and a small percentage of golfers may not be challenged by even the back tees (they barely stretch 6,000 yards). If I’m just a little dialed-in I can really score at these short courses, like I did this day. There are a few of these moments, then there’s also a pack of bland, trouble-free, sub-350 yard par fours and no challenging par fives. But this could be the future of American golf. You can walk for $35 (includes 9% city tax) at most and its playability does not cost too much in aesthetics and challenge. That’s relatively inexpensive and it has to be cheap to run. There is no driving range and no significant clubhouse or bag services. This is fine because the first few holes are simple and provide a decent warm-up. Plus, you never have to deal with figuring out how much to tip a bag room attendant. The place just has a nice, minimalist feel. Heck, there have been times when my complete time investment has been less than five hours out and back, including drive time and wait time. I’ll make sacrifices for that. I’ve played two short, sporty, inexpensive courses this year so I’m ready for some juice. I’m hitting Harborside tomorrow so I’ll get bent grass fairways, fast greens, and trouble around every corner. I’m pumped! Hopefully the weather holds out for a morning round. Posted in golf on 2012/05/12 by John.